Who Will Read My Family History Story? Last week you answered the question Why am I writing this family history book? This week, as we move forward with our family history blog to book project, we will discuss the importance of identifying your reader and I will offer you some tools to help you identify that reader. By understanding your ideal reader, you will be able to make better choices about what should be a part of your family history blog and how you'll want to deliver your family history. Ultimately your blog reader will also be your book reader. Therefore identifying your blog audience is key. Open your notebook, and work through the following tools and exercises to help you find your family history blog readers. What group does your ideal reader belong to? Will your blog reader be mostly family and friends? Will your blog reader be members of the genealogical community? Will your blog reader be part of a larger family group, those who share the same surname? Will your blog reader be part of larger more commercial audience, outside of your family and genealogical community? What does your ideal reader look like? 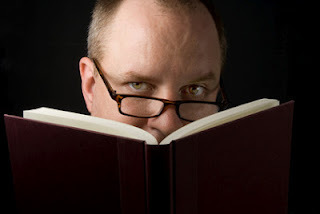 Visualize your ideal reader, who are they? Here are some things to consider when identifying your reader. Find an example of your target audience? Look around, are their opportunities where you can find an example of your target audience and seek out more detail information of your target market. Here’s a few examples. Will your book be located in a book store? Go to your local book store, sit in the area where you think your family history book will be sold and hang out and watch who comes shopping that genre. If you’re writing for family, have a conversation with a family member, understand what they may be expecting to find in your family history blog. If you’re writing for other genealogists, seek out a genealogist who you feel is your target audience, and ask them what they look for in a great family history story. If you already have a blog, ask your current readers. Take a survey, converse with them in comments, engage with your audience on social media, and find out just who is following you and why? Don’t be surprised if your reader’s profile changes as you learn more about your project and discover more about what you want to write. Once you move through the above exercise and identify your reader, you will begin to understand what will serve your reader best rather then what serves you. Don’t get me wrong, we will still be keeping your reasons for writing your book as part of the equation. However it’s only one part of the equation. The major point of understanding your reader is to keep your blog from becoming all about you. If you want your family, a fellow genealogist or a complete stranger to read your family history blog and ultimately your book you have to identify who they are, and then identify how the larger purpose your family history story will serve them. We will explore that question in next week’s post in the family history blog to book project.